Heartworm disease is one of those illnesses that is extremely easy to avoid, but it can be difficult and costly to treat. Depending on the severity, the disease can also be life-threatening, so it’s important as a pet owner to focus on prevention. If you live in New York City and have questions concerning heartworm treatment and the health of your pet, contact Animal General to speak to one of our caring staff members. 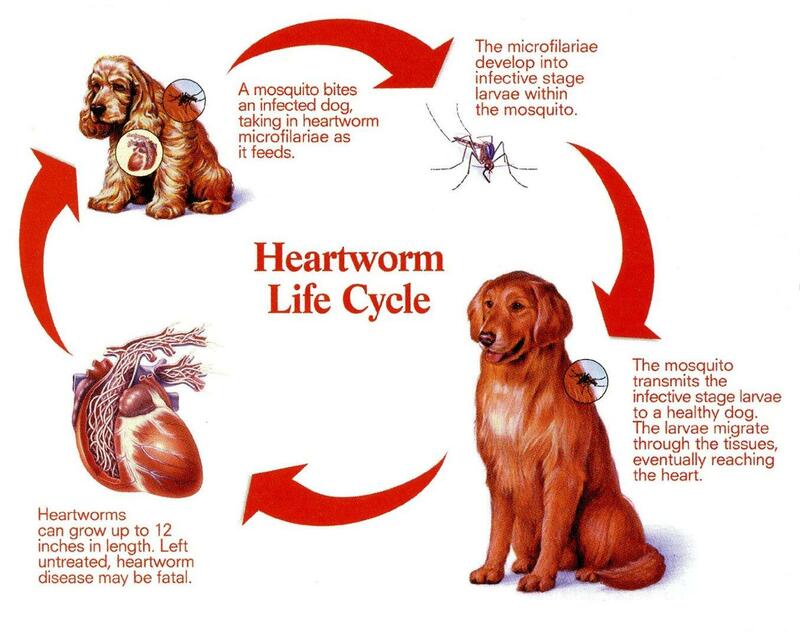 Heartworm is a disease that is caused by the bite of an infected mosquito. While the disease is prominent in hot and humid locations in areas of California and Arizona, it has been reported in all 50 states. It takes approximately seven months for the larvae to fully mature into adult heartworms once a dog has been bitten by a vector mosquito. These worms become lodged in the heart, lungs, and surrounding blood vessels. They can grow up to a foot in length and can live up to seven years in your pet’s system. An infected pet can have as many as 250 worms living inside them. This disease can only be passed by mosquitos, so it is not contagious to you or other pets. Pets in the early stages of the disease show very little signs of heartworms. Once the worms start to grow and reproduce, your dog may start to have a mild and persistent cough. They may be reluctant to exercise, have a decreased appetite, and begin to lose weight. In more advanced stages, your pet may develop heart failure and have the appearance of a swollen stomach due to excess fluid in the abdomen. Your vet can test for heartworms by examining a blood sample for heartworm proteins. More veterinary testing may be required if your pet is found positive for heartworm. How is the Disease Treated and Prevented? If your pet tests positive for the disease, you will have to restrain from any physical activity to prevent further damage to the heart and lungs. Your pet will be given a round of medication through an injection to help kill the adult heartworms. Another medication may be used for heartworm treatment and is applied topically. There are several heartworm preventatives available on the market. Some come in pill form and are given monthly with a flea preventive. Others may be injected under the skin every six months. If you live in New York City and have questions about heartworm, contact Animal General at (212) 501-9600 to speak to one of our staff members or to schedule an appointment.